Protective Behaviours WA is Western Australia’s leading prevention education organisation working in WA and Internationally to prevent child abuse. Our programs seek to prevent child abuse by providing greater awareness and understanding; as well as providing the tools and strategies for individuals, organisations, parents, families and communities to address and deal with these issues. Our strong and specialised service provides a dynamic professional response to child protection. Let your child take small risks so that they develop problem-solving and conflict-management skills. Teach your child that if they don’t feel safe, they have the right to do something about it. Encourage them to discuss and express their feelings. Help your child learn how to identify their body’s early-warning signs for feeling unsafe. Develop a shared language around safety, e.g. Safety = choice + control + time limit. Help your child develop a network of trusted adults they can talk about anything to. Develop an expectation that secrets can always be shared with someone we trust. Use the correct terminology for all body parts and avoid “nicknames” or “cute” names for the private parts of the body. Reinforce that children own the whole of their body and no one should touch their private parts (those covered by bathers) and also their mouth and they shouldn’t touch anyone else’s. Teach about personal space and let children decide themselves how they want to express physical affection. Children should not be forced to hug or kiss anyone. Everyone’s Got A Bottom – by Tess Rowley, publisher Family Planning Queensland, reading age 3-8 years. Jasmine’s Butterflies – by Justine O’Malley, publisher Justine O’Malley, reading age 2-8 years. Sam’s Hats – by Amber Fabry, publisher Sinclair Publishing Group, reading age 3-6 years. Sarah’s Secret – by Sonya Kupfer, publisher NooBee publishing. Some Parts Are Not For Sharing – by Julie Federico, publisher Tate Publishing. Some Secrets Should Never Be Kept – by Jayneen Sanders, publisher Upload Publishing, reading age 3-12 years. 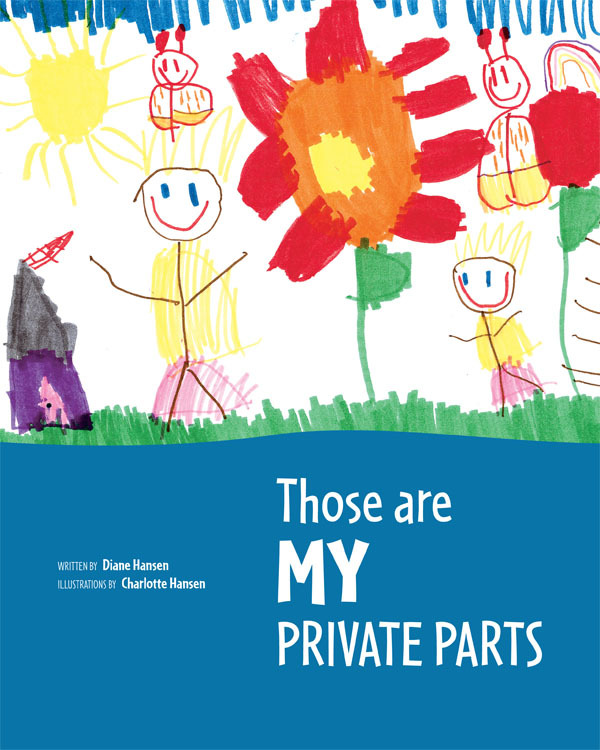 Those Are My Private Parts – by Diane Hansen, publisher Empowerment Productions.